When we’re young, life seems incredibly hard. Things don’t go the way we want, we can’t do the things we want and we don’t understand why things are the way they are. Laura Francois explores all the trappings of teenage angst with Chasing Ghosts, a novel centered on the lives of four teenage girls who are trying to navigate high school, relationships and the pressures of reality. These four girls haven’t had the easiest life as all of them deal with some sort of familial crisis. There’s the girl who is just dying to be seen by her parents as a real human being with feelings, the girl who tenderly wants to have a music career while navigating her father’s shortcomings, the girl who has suffered more heartache than most teenagers and finally the girl who can’t forgive herself for letting her anger control her. These four girls will find their lives woven together for what proves to be an eventful year of their lives. When writing for young readers it’s important to use language they understand. Francois does this quite well. She uses vernacular that teenagers would be comfortable with and recognize. She uses brands and references that the generation reading this book will understand, but the journey these young women have embarked on is timeless. Francois doesn’t pull punches with her characters, either. One character in particular has been through hell and back yet it doesn’t feel overwhelming or unrealistic. The lives these women lead are certainly dramatic, as all teenage lives are, but they don’t feel fake. This is a story other young women would feel inspired by, and it resonates with the reader. Francois understands this and crafts something that is dramatic without feeling like you’re watching an unrealistic movie. Everything that happens to these girls could occur in real life. This lends that much more power to the underlying message. This book is definitely geared towards younger readers and it demonstrates an ability to connect with the generation it is meant to connect with. 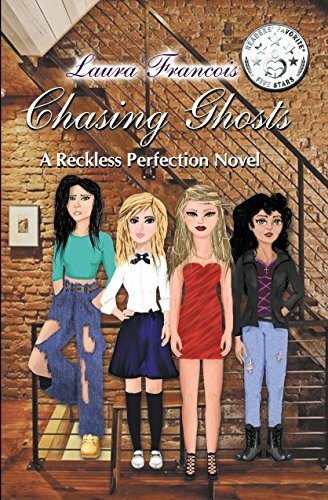 Chasing Ghosts is a perfect title because all of these young women are certainly chasing after something. 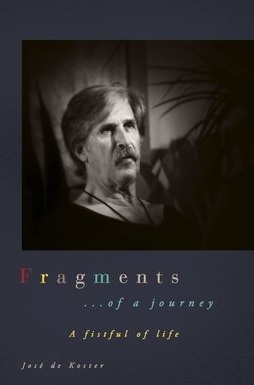 Readers will want to follow the journey to the end to see who reaches their goal and who is laid to waste by the very thing they desire. Posted on January 27, 2017, in Book Reviews, Three Stars and tagged amazon, amazon books, angst, author, book, book review, books, chasing ghosts, ebook, ebooks, family, family drama, fantasy, fantasy book review, fiction, girls, goodreads, highschool, kindle, laura francois, life, literature, love, magic, novel, publishing, reading, reckless perfection, review, reviews, romance, social, stories, teen drama, teen fiction, teen girls, urban fantasy, women, writing, YA, young adult. Bookmark the permalink. Leave a comment.